A friend mentioned to me that she'd heard Stampede wasn't doing as much damage as people were expecting, and since I'm not raiding tonight, I decided to look into it. That is, AP damage function, times the reduction for Armor, times combat experience, which brings us to 587.63787, which is what we expected. As BM the difference is including Mastery, as well as increasing Combat Experience to a 70% buff from a 50% buff. That gives us 785.8677, which is again, what we expected. So I was about to say that people were mistaken, and there was no problem with Stampede (haste was still affecting Stampede correctly, as well as other stats, and the duration was still correct). However, my last test, on a whim, was to look at how Focus Fire affected Stampede. 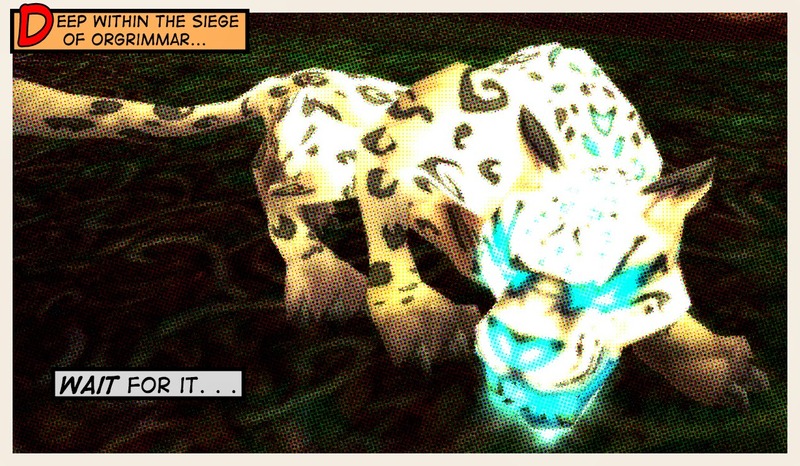 The picture at the top here shows a graph of my, and my pets' Attack Power changing as I use Focus Fire. As you'll notice, my pet's AP is not changing when FF is cast, it stays the same the entire time. When I switch to the Damage Done Events tab, I can go through all of the hits by my stampede pets, and nothing changes when FF is cast. After that, I went and set up a similar test for normal BM pets, and Dire Beasts. It turns out no pets are inheriting the AP buff from Focus Fire. As our pets tend to do at least 60% of our damage as BM, that means that we're currently getting less than half the benefit from Focus Fire. I am 99% certain that this is a bug, and not intentional. And I think we'll see it fixed by the end of the week, maybe even tomorrow morning. For the time being, be very cautious if you've been wanting to play BM. It is not working as you might expect it to. As you can see, there's no change in the damage done from Focus Fire's AP buff. For all practical purposes, this means that FF is currently working as the Empowered Focus Fire perk was never added. Back when he was running the Warcraft Hunters Union, Frostheim had a little saying that he's still well known for: Pay Your Dues. There may be several things you can take from that simple statement, but what he meant was: do everything you can to perform your role as best as possible, regardless of how small of an increase you're going to make; like never bringing a tenacity bear when you could be bringing a ferocity pet. This is a tenant that many hunters have really tried to take to heart over the years, but I think it could always bear repeating. Can Someone Link Me a Spec DPS Chart? The thing that's been bothering me lately, as I've been trying to keep my eyes on the SimC IRC, is the number of people asking for a comparison chart of all the DPS specs, and the benefit they'll get from the set bonuses, when they could very easily make the same chart themselves, or better yet, do the comparisons for their actual character, with their actual gear. To clarify here, I think the people who go through the trouble of making these and sending out links to the general wow population are doing a good thing. It's useful information, and that's always good to share. 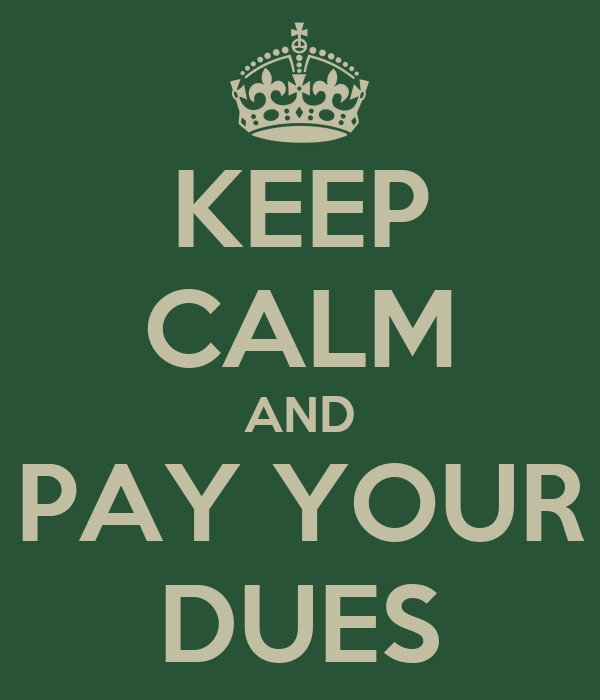 But, there's a reason people need to pay their dues. As with anything, data without context is rarely helpful, and often leads to misinformation. To understand those charts, you need to have at least a basic concept of how SimC works. When the chart was made, the user had the option of comparing many things. They may have been comparing the preset APL with the pre-set BiS lists, or they could have been using their own APLs and gear lists. They can compare off-set pieces to tier pieces with set bonuses, or they can compare tier pieces with the set bonuses turned off to tier pieces with the set bonuses turned on. The same goes for checking the comparisons with the previous tier's set bonuses. They could actually put in the previous tiers gear, or they could use the current tier's gear and artificially add the previous tier's set bonuses. And the thing is, all of these are meaningful, useful comparisons to make, so long as the user knows what data they're looking at. If you then are getting a link to this chart from someone who saw it linked on twitter, there's a good chance you won't know all the settings the person who created it used. And the data then will have almost no reasonable application to how your guild distributes loot. Of course, a lot of wow players have some big names that they've decided to trust. I'm totally fine with that. If you're team decided they're going to base how they hand out set pieces on how some guy from Midwinter described it, you'll end up doing ok. It'll be good enough. The trouble is, what's good enough for the support classes is not what our goal should be. Our goal is to do everything we can to perform our role as best as possible. If you want to know how much a set bonus is going to benefit you, import your character from the armory, and start running some sims. Check yourself with the gear you currently have, and compare it to if you were to switch out two of your tier 17 pieces with two new tier 18 pieces. Look at how that affects your stat scaling. Then, try the same test, but head over to your options tab first, and try some different fight styles. I promise, it won't take that long. Then you can go to your Raid Leader, and say with confidence that you need this item as soon as possible, but that other item, you can pass it to someone else until another drops. You're not only helping yourself, but you're helping your entire raid team, as others who need it more might get a chance to get their set bonuses first, or you'll get it and then do amazing DPS, helping everyone down the boss faster. Either way, the whole team is better off. When I first started writing this, I was planning on putting a little disclaimer at the end. I was going to say something like "you know, if you're in a fairly casual, friends and family type guild, none of this probably matters", and to some extent, that's true. Most more casual guilds aren't going to hand out loot based on who it benefits more anyhow. But, after looking through old WHU posts for links, I've decided to leave that part out (other than that I'm telling you about it right now). Instead, I want to say this, it doesn't matter if you're in the race for mythic world first, or your only goal is to finish normal mode before the next tier comes out, do absolutely everything you can to perform your role as well as possible. If that means spending an extra ten minutes running some sims on yourself before raid, or spending a half hour over the weekend learning how to read sims, there are worse ways to spend your time. In one of the PTR builds released last week, Blizzard fixed an issue where the MM 2 piece set bonus (4 seconds of Rapid Fire) was not applying Careful Aim. Now that it is correctly increasing the Crit chance of Aimed Shots, someone in the SimC IRC asked what happened if the 2pc Rapid Fire happened at the same time as our normal Rapid Fire (wondering if the Haste effect stacked). After looking through dozens and dozens of MM logs from Hellfire Citadel, I was unable to find any examples of the two buffs occurring at the same time, but I did finally find an example (twice in one fight, oddly enough) of one of the buffs cutting off the the other. After searching through more logs, I (and Jademcian and Lokrick, who do the real work on SimC) feel fairly confident that this is how the 2pc Rapid Fire works: when you cast or proc Rapid Fire while Rapid Fire is already active, whichever has the longer duration will replace the other. That is to say, if you have, for example, proc'ed the 2pc Rapid Fire at second 0, then at second 2 you cast your normal Rapid Fire, your normal Rapid Fire will cancel out the 2pc proc, and you'll have a fresh 15 seconds of Rapid Fire. If, on the other hand, you've already cast Rapid Fire, on what we'll again call second 0, and on second 12 you cast a Chim Shot which proc's the 2pc Rapid Fire, it will cancel out your normal RF and give you 4 new seconds of Rapid Fire (because, 4 seconds of the 2pc RF is longer than the 3 seconds you'd had left of the normal RF). And finally, if you cast your normal Rapid Fire at second 0, and then cast a Chim Shot which proc's the 2pc Rapid Fire at second 8, nothing will happen, because the 7 seconds of normal RF left is longer than the 4 seconds of 2pc RF would be. Now that the 2pc set bonus is applying Careful Aim, we'll have to make sure we're taking advantage of that extra crit as much as possible. As has already been mentioned on this blog, to do this we'll have to pay a bit closer attention to our focus pooling. We want to be at nearly full focus when Chim Shot comes off CD, just in case we proc Rapid Fire, that way we can quickly spam out several Aimed Shots crits. The other thing to pay attention to is when the 2 piece is proc'ing and your normal Rapid Fire is about to come off CD. In the graph shown above, this hunter cast Rapid Fire while his 2 pc Rapid Fire was already Proc'ed, thus costing him about 3 seconds of Rapid Fire. Unless you're just very good at always looking at your buffs icons, this means you'll definitely want a Weak Aura or Tellmewhen icon set up to let you know when the 2 piece has proc'ed. Of course, if the 2 piece proc's when you've already cast your normal Rapid Fire, there's not much you can do about it. As by far your most damaging shot, you do not want to delay Chim Shot for the 15 seconds of Rapid Fire. There are times when Chim Shot comes off CD during the last few seconds of Rapid Fire; so I thought it might be worth looking into whether or not it's worth it to delay Chim Shot for a few seconds, just in case you proc'ed the 2 piece, which I'll get to in just a moment. First we need to understand a bit more about the 2 piece proc's during Rapid Fire. As I've mentioned before, we're not going to see a lot of proc's from the 2 piece set bonus. Let's say, for example, you're a heroic raider in pretty good gear with a 37.5% Crit chance. That means you have a 15% chance to proc the 2 piece every time you cast Chim Shot (0.375*0.4=0.15). That means you're looking at getting roughly 1 proc every 60 seconds (9/0.15=60, and yes, I used 37.5% crit so that it would be 1 proc per minute). Since Chim Shot has a 9 second CD, if you use both Chim Shot and Rapid Fire on CD, you'll end up casting about 1.667 Chim Shots during Rapid Fire (on average, of course). That means your chance to proc a 2pc Rapid Fire during your normal Rapid Fire is about 23.73% (that is: 1-(1-0.15)^1.667 = 0.23732). A more useful way to think about that, perhaps, is that you're going to get about 12.5% of your 2 piece Rapid Fires during your normal Rapid Fire. So instead of the 6.667% up-time we'd get if we didn't cast any normal rapid fires (4sec/60sec), we can only expect to see about 5.833% up-time in this example. Back to our original question "is it worth delaying Chim Shot for the last few seconds of Rapid Fire?" We only need a bit more information. In 700 ilvl gear on the PTR, my AiS hits average 31766.6 damage, with crits averaging 78818.8 damage. My Chim Shot, averages (hits and crits together) 106976.7 damage. If we only look at the extra damage from Careful Aim (there's also some extra damage from haste, but it's negligible enough that we'll ignore it for now), 4 seconds of Rapid Fire, if we could manage to get lucky with TotH proc's, and spammed 4 Aimed Shots, we'd get an extra 188,208.8 damage (compared to using those same GCDs for Aimed Shots without Careful Aim). However, we'll only get that extra damage 15% of the time (since we have a 15% chance to proc the 2pc Rapid Fire, as noted above). That means our expected value for delaying Chim Shot 4 seconds is only 28,231.3. In all of these situations, we'll, on average, lose more by delaying Chim Shot than we'll gain by getting extra up-time on Rapid Fire. Pool up focus before every Chim Shot so you can spam Aimed Shots if the 2pc Rapid Fire proc's. If the 2pc Rapid Fire has proc'ed, do not cast your normal Rapid Fire until the 2pc finishes. If you've already cast your normal Rapid Fire, continue using Chim Shot on CD as you normally would, as it does too much damage to ever ignore/delay. In the world of vaguely related hunter news, I wanted to give a shout out to Michele Morrow, a regular guest on the Hunting Party Podcast, who's the voice of the new Hearthstone Hero Alleria Windrunner! The promo sounds great, and I'm excited to try out playing hearthstone as Alleria. Congrats to Michele, who's done a great job of representing the Hunter class over the years. Hopefully we can have her on the Hunting Party Podcast again soon. When looking through my blog stats, I noticed that my last post on the ptr updates happened to be the 200th blog post here on Thrill of the Wild. Since I forgot to do a One Year post back when that milestone came around, I figured 200 posts is as good of milestone as any to do a special post. It was a normal morning, in early April of 2014. I logged onto my computer, and then of course onto all favorite blogs. The Warcraft Hunters Union had been closed for five or six weeks at this point, but I would still go check it every once in a while. To my delight, Arth had put up a new post, spelling out in detail all these amazing new hunter projects: the return of the Hunting Party Podcast featuring a weekly segment from none other than Ghostcrawler, the return of Frostheim to Hunter blogging, several other exciting prospects that I couldn't believe! Of course, as I scrolled down the page the claims became more and more ridiculous, until eventually Arth admitted to this all being an April Fools' day joke. With my heart completely crushed, I decided then and there that it was time for me to start my own hunter blog, in hopes of carrying on the amazing hunter blogging tradition I'd seen on the WHU, the Brewhall, Hunter's Rhok, the Grumpy Elf, and elsewhere. When I started this blog, I didn't really have much of a vision of what I wanted to write about other than the general topics of Hunters. Then one day, on a whim, I decided to write a blog post about some investigations I'd been doing on the probabilities of crazy long Lock and Load chains we were getting from the Tier 16 4 piece set bonus. For several years, I'd been keeping my own spreadsheets of hunter math, so I could work out my own stat weights and ability priorities / rotations. It was a very strange hobby to most people, as there were already much better tools out there (like SimulationCraft or Zeherah's DPS analyzer), but it was fun, and I felt like having to know abilities to work them into my spreadsheet insured that I would know them well enough to really get the most out of them when playing. Anyhow, it had never occurred to me that anyone else would be interested in this sort of math-heavy blog post. However, that post on Lock 'n' Load proc's quickly became my most linked blog post (it's not anymore, but at that time it was by far the most linked post). After thinking about it, it definitely makes sense that a game like WoW would have a nerdy enough following that people would be interested in reading a 2000 word blog post on the the probability of a set bonus mechanic (that isn't even relevant to playing the spec). It was that realization that made me decide to shift the direction of the blog to what it is now. Though I still enjoy occasionally writing about general news, and of course my opinions on that news, it seems clear that most people who come to this site are most interested in the hunter maths, which works out great for me, because all of the spreadsheet work I would've done anyway, regardless of having a blog to post it on. Someone mentioned to me recently that I haven't ever written much about myself (irl). I've never really been that good at biographically summarizing myself, so instead, here's some random bits about me. The photo to the right is of me when hiking on the North Rim of the Grand Canyon. It's one of my favorite memories. The night before we had stayed up late drinking wine (from one of those waxed paper/cardboard portable wines they have in cheap grocery stores) and taking turns reading Kurt Vonnegut's Cat's Cradle aloud. Had I not cropped the photo, you'd see one of my favorite friends still sleeping in the background. I probably should have been sleeping too, but decided I was more excited about making breakfast than sleeping in. In my day to day life, I work for a not-for-profit organization here in Chicago. The organization uses what's called a "graduated housing program" to try to get people out of homelessness. What that means is, we have, at the base level, a traditional "shelter" which serves for emergency cases. Then from there, people can move into our SRO (single room occupancy) building, which, for those unfamiliar, is sort of like a dorm, with shared bathrooms/kitchens, but private rooms. The goal is there that people can get a taste for living on their own, paying bills, etc, but if they miss a month's rent or something, it's not a big deal. The end goal is to get people into Full Equity Coops. In the Coops, instead of paying "rent" every month, you're actually buying a portion of the building every month. So not only can you (hopefully) take pride of ownership in the building, but also build equity, so after 10 or 15 years (it takes a long time), you can sell your share of the building back to the Coop, and have enough money to put a down payment on a home. At least, that's the general idea of how it's supposed to work. As for my involvement, I primarily do IT stuff for the office, but also get to do some basic computers teaching, and run a computer club with some of the kids who live in our buildings, where we strip donated/discarded computers, and try to turn them into a working computer, with the goal of making computers we can do some amount of gaming on (and the side effect of learning a lot about computers in general). I often find myself daydreaming about life on this continent around 15 thousand years ago. The ice sheets having recently receded, and megafauna being largely in control of the land (sometimes I'm very sad that there are no more mastadons). 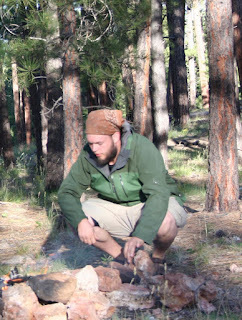 I think I'd do well in gatherer-hunter band-society. The indigenous people of the Ozark Plateau, where I grew up, lived in the areas many spring-fed caves. Due to the thick vegetation, they were able to remain in loosely organized band society for many centuries longer than indigenous people in neighboring areas, like the Cohokia/Mississipian civilizations, or later on the Osage. Anyhow, the point is I'm a pretty big fan of paleoanthropology. Moving forward, I certainly plan on continuing with math-centric hunter analysis. Also, I have hopes of also finding another writer to make Thrill of the Wild a team effort, and hopefully cover a couple of topics that I'd like to see on here, but rarely feel like writing about. One of my hopes in writing this post is that I can perhaps solicit those of you that read this blog, to to leave a comment with what you'd like from it. So, kindly let me know in the comments: if you're happy with the direction of the blog, or if there's something you'd like to see added, or something I used to do that I don't anymore? Or really anything at all that you'd like to say. I've been amazed at the number of kind responses I've had over this last year or so, and really appreciate the support, from the already-in-existence hunter blogger community, and from everyone who's linked my blog posts on MMO-Champion forums, the Battle.net forums, or in their streams, and of course all the re-tweets when I link a blog post on twitter. Thanks to all the hunters out there that have made this easily the greatest community in WoW, (probably in any game, really). 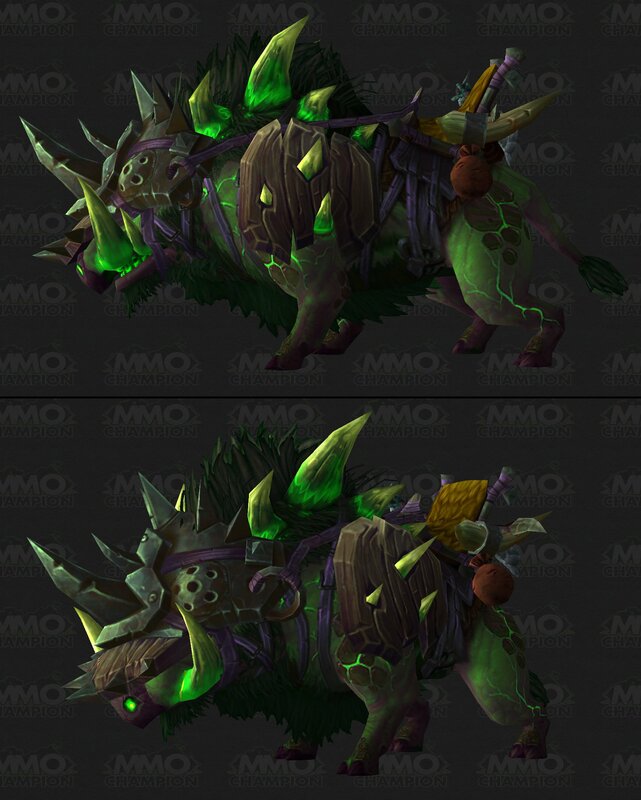 BM 4 piece set bonus: Fel Boar melee attacks now do 60% less damage. BM 2 piece set bonus: Arcane Shot and Multi-Shot now add 1 second to the duration of Focus Fire. SV 2 piece set bonus: When you cast Black Arrow, it applies the Black Decay debuff to the target, causing them to take 15% more elemental damage for 15 seconds. A Murder of Crows: now deals 75% of normal damage when used against players by Beast Mastery hunters. While I love being incredibly OP as much as the next guy, I can't say we didn't all see the BM set bonus nerfs coming. I think 2 seconds for the 2 piece would have had the same effect to your rotation, without causing as much of a nerf to damage. At 1 second, it's not something you're ever going to really plan for, or change your rotation to accommodate. The 4 piece, for BM, of course, is the proverbial other shoe we've been waiting to drop. 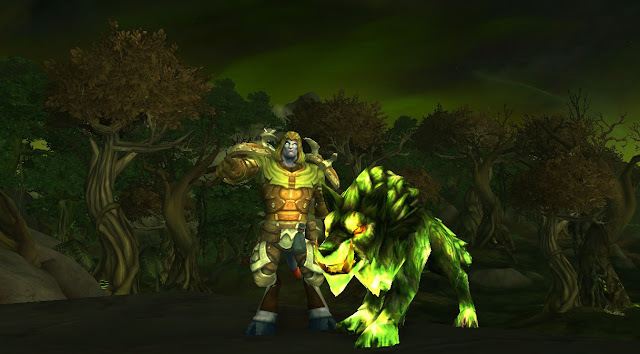 For anyone curious, the Fel Boar's Attack Power is still, the same as the hunter's. But where the formula had been 4(2*AP/3.5), it's now 1.6(2*AP/3.5). As for SV, I really like this change. The more I play with it, the more I like the Black Decay mechanic. It makes our lack of AoE much more interesting, when paired with the Archimonde Trinket, as you'll have little windows where you'll want to do your single target rotation, and times when you can switch to multi-dotting. I don't think the increase to 15% is enough to see Black Decay start to effect our Single Target rotation, but it's heading in the right way. The last thing, which I just saw on MMO-Champion's datamined info, I haven't actually tested myself (since I haven't tested any PvP), is that they brought down aMoC just a little bit more in PvP, but made the nerf apply to BM only. That's great. Even down to 75% of normal damage, for BM it will still do more damage than it would if you were playing MM or SV, since in WoD Season 2 conquest gear we're looking at fairly easily hitting 70-75% mastery (75% mastery means it'll be doing roughly 131.25% more damage than it would have were you MM or SV). Anyhow, not a lot going on (still no news on the lack of Careful Aim in the MM 2 piece set bonus). But, I haven't been writing many updates lately, and was looking at the changes to Fel Boar, thought I might as well write about it here.